Julia leads the Community Safety Initiative (CSI) at the New York based Local Initiative Support Corporation (LISC), a national not-for-profit community development organization. 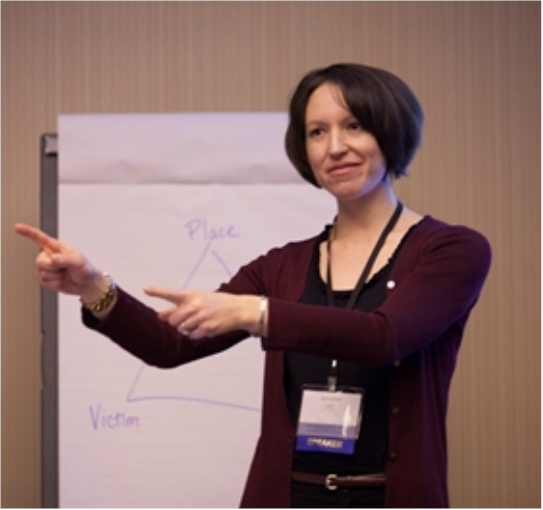 Her CSI group helps integrate crime prevention and SafeGrowth® into comprehensive community development, providing training and technical assistance in more than 20 cities and fostering national partnerships with Congressional and criminal justice leaders. Prior to joining LISC, Julia did program development and fundraising for community development and immigrant service organizations in Massachusetts and New York. Julia holds an MPA from Columbia University's School of International and Public Affairs and a BA from Middlebury College in Vermont.